At over a thousand feet below the ice surface, the Antarctic subglacial biome is one of the most challenging regions on earth to access. The only way to tap into this newly explored environment is through the use of highly specialized technology in conjunction with carefully planned logistics. Through using a hot water drill system (HWDS), SALSA will deploy scientific instruments approximately 4,000 feet below the ice to explore and sample from this little understood ecosystem. SALSA’s HWDS was originally developed for the WISSARD project by the University of Nebraska-Lincoln’s Science Management Office and was designed to be portable, modular, and completely clean. The design of a successful deep field HWDS is based on careful planning, simple and practical design elements, the use of commercial off the shelf (COTS) components that can be replaced by a suitable inventory of spare parts, the fabrication of customized fit-to-mission components to augment the COTS primary components, and peer-reviewed commissioning of the combined science and engineering modules in order to achieve a systems-wide integration that achieves logistical, operational and science objectives. 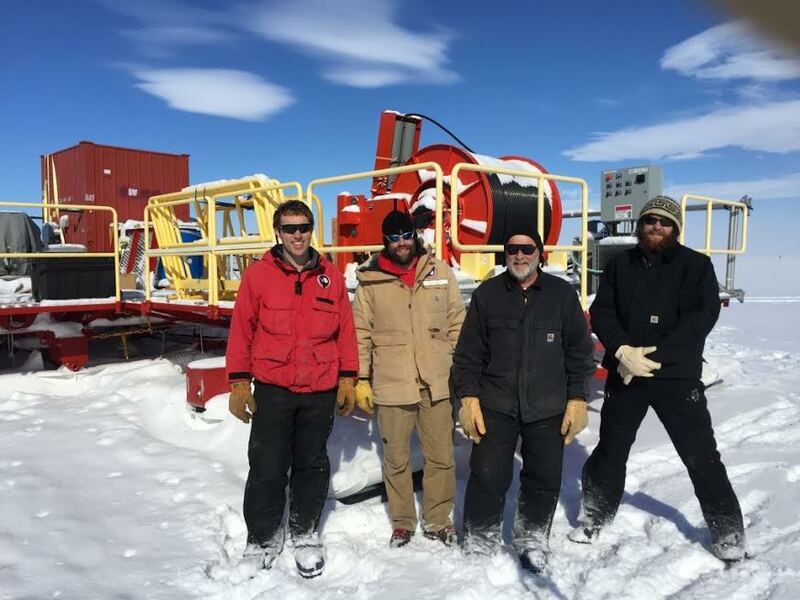 Introducing microbial contamination to the subglacial environment during drilling operations could compromise environmental stewardship and the science objectives of the project, consequently we developed a set of tools and procedures to directly address these issues. SALSA’s hot water drilling efforts will include a custom water treatment system designed to remove micron and sub-micron sized particles (biotic and abiotic), irradiate the drilling water with germicidal ultraviolet (UV) radiation, and pasteurize the water to reduce the viability of persisting microbial contamination. Our clean access protocols also include methods to reduce microbial contamination on the surfaces of cables/hoses and down-borehole equipment using germicidal UV exposure and chemical disinfection. 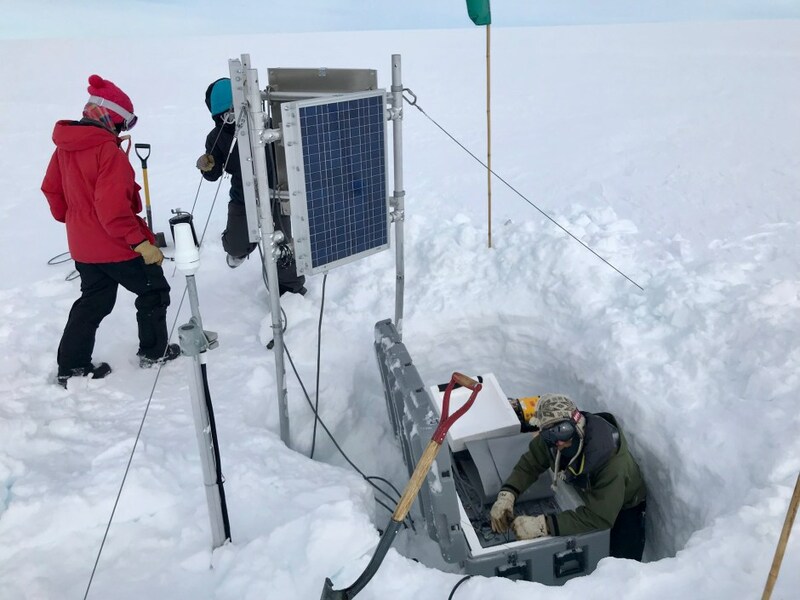 SALSA will deploy a wide array of scientific instruments in order to explore the biological, geochemical, and hydrological dynamics of Mercer Subglacial Lake . Water column conductivity and temperature will be measured in situ using a Seabird CTD lowered through the borehole and into the lake. More comprehensive CT measurements of the water away from the borehole will be made using the Deep SCINI ROV that will also take 4k hi-resolution video of the bottom of the ice sheet and surficial sediments. Particulate matter from the lake will be collected in situ using a McLane WTS-LV (large volume water transfer system) to filter concentrate particles as small as 0.2 microns for DNA sequencing. Bulk water for experiments and physical/chemical measurements will be obtained from the lake using 10L Niskin bottles. 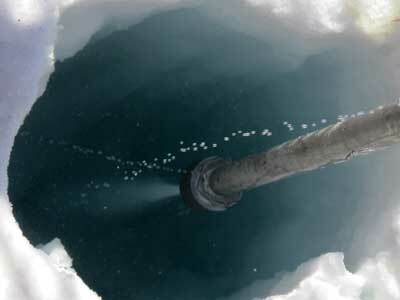 Basal ice cores from the 10-20 m of ice closest to the ice sheet base will be collected using a hot water corer. Shallow sediment samples (less than 1 m) will be collected using a UWITEK multicoring system; porewater will be obtained from the cores using Rhizon samplers throughout the core. Deeper sediments will be obtained from a free fall gravity corer.